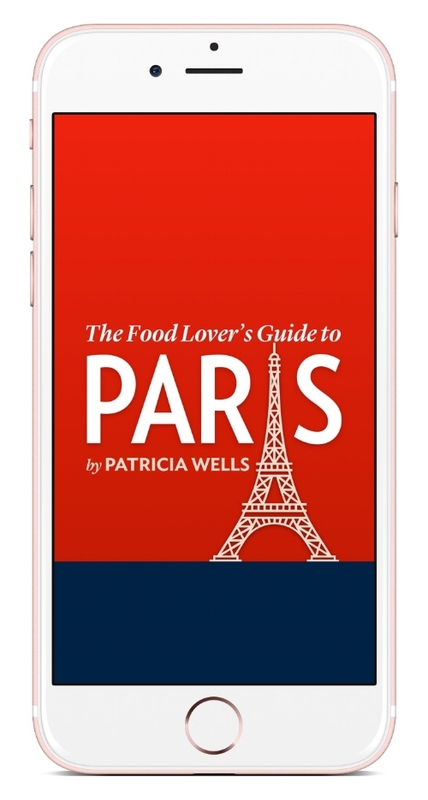 Patricia has transformed her legendary Food Lover’s Guide to Paris into an app for iOS 11 – now making it even easier to discover Paris’s best culinary destinations. Discover Patricia’s top picks of restaurants, cafes, wine bars, bakeries, pastry, chocolate and cheese shops, markets, wine shops, specialty food shops and kitchen and tableware shops, for just $4.99. The app’s latest release has an updated design and exciting new features to help you make sense of the Parisian culinary landscape. —Dorie Greenspan, author of Dorie’s Cookies and Around My French Table. Discover more than 500 of the city’s ultimate culinary destinations, regularly updated and tested by Patricia and her team with detailed dependable commentary. Search by category using a filter to refine your search by cuisine type, neighborhood, details such as Michelin stars or gluten-free, atmosphere, price and culinary specialties. Each entry includes commentary, address, contact phone number, opening hours, online reservations where available and menu prices. App users can call numbers directly, link to web sites and find relevant directions. A map of Paris shows the location of all the addresses in the guide (use the filter to limit the addresses to those you are interested in). An offline geolocator allows you to see your location even when you’re not connected to the internet (click the information icon in the top left corner of the app screen for how-to-use instructions.) for many destinations. An A-Z GLOSSARY of French culinary terms to help translate menus on the spot, with a handy search function for easy navigation. NB. This app is designed for the iPhone but also functions on an iPad, with some minor formatting adjustments. Don't have an iPhone or an iPad? Get the book! All text content is copyright 2017 by Patricia Wells. All rights reserved.